Nintendo has made a veritable buttload of money off of its NES Classic and SNES Classic mini retro consoles, proving that video game fans are very eager to throw money at things that remind them of the days before they got old. Sony even briefly thought it could cash in on fan nostalgia as well with its own PlayStation Classic, at least until a tepid response from the general public made it clear that a miniature PS1 that cannot play Tony Hawk’s Pro Skater is not worth anywhere near $90 (Metal Gear Solid is great, but come on). Tony Hawk aside, perhaps the PlayStation Classic failed because it wasn’t suitably retro enough, and if that’s the case, there is one other company that could hit the exact nostalgia sweet spot: Sega. The folks behind Sonic The Hedgehog don’t make their own full-size consoles anymore, but—as reported by Kotaku—Sega will be releasing a Genesis Mini later this year for $80. 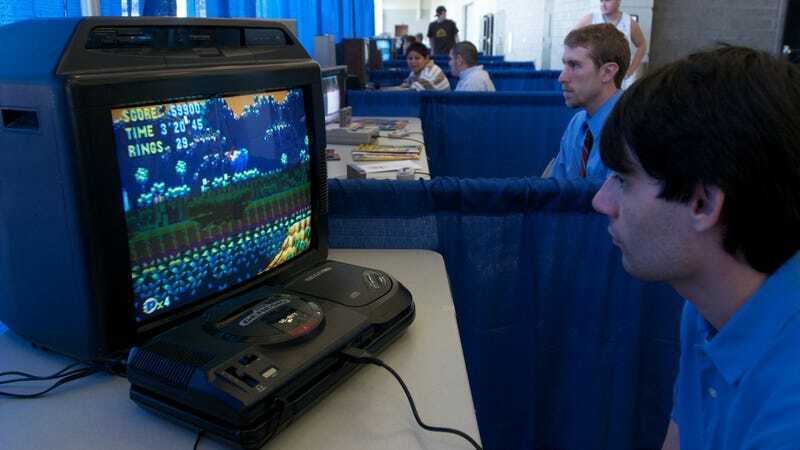 It’ll have 40 games preloaded on the system, and while not all of them have been announced yet, it does include some good picks (Castlevania: Bloodlines, Gunstar Heroes, Ecco The Dolphin) and the requisite stinker that must be included on every Sega Genesis compilation until the end of time (Altered Beast). Of course, Sega has been selling something like this for years already, but that mini retro system—the Genesis Flashback HD, as seen at Walgreens!—was built by a different company and lacked the technical precision and general quality of Nintendo’s two machines. This one, in theory, will be different.